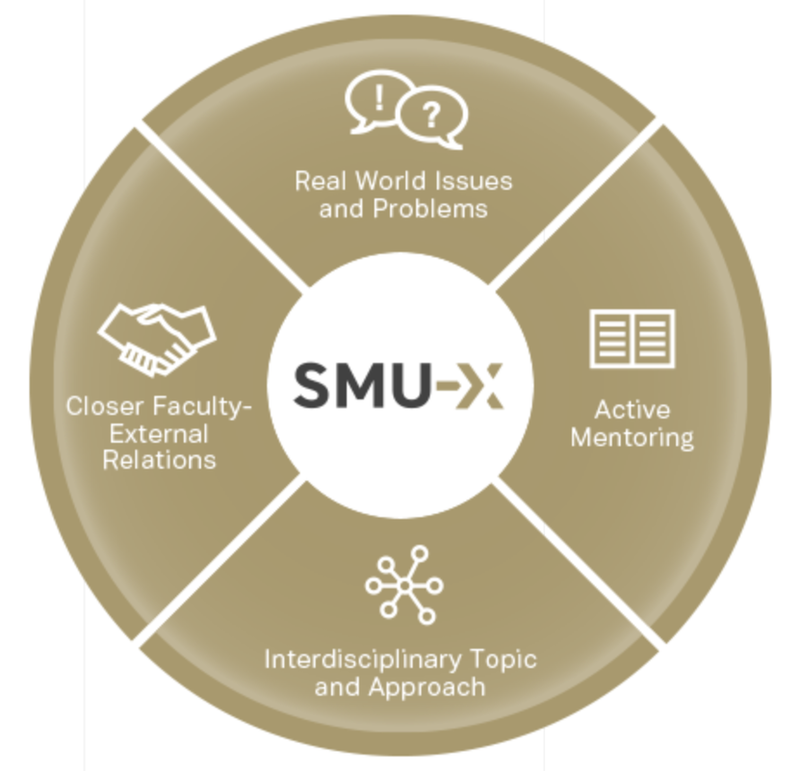 The SMU-X curriculum combines academic with experiential learning where students are challenged to use their disciplinary knowledge to tackle real world issues through interdisciplinary approaches. Through collaborations within the SMU community and with external stakeholders, opportunities are provided for students to establish valuable new contacts for securing future internships and/or employment locally and globally. Additionally, such real-world projects helps to develop and hone students’ work-ready skills. Visit the SMU-X website at https://x.smu.edu.sg/ to find out more about existing courses and how to get involved in teaching an X course. CTE and the SMU-X team have curated relevant resources and best practices to better support SMU-X instructors in the design and delivery of X courses. Click here to access the latest copy of the Toolkit (login required). Initiated by CTE in partnership with SMU-X Team, SEED serves as a platform where faculty members share their expertise with the SMU academic community in experiential learning and/or its related topics. Each issue of the SEED Digest contains a summary of the presentation by the invited SMU instructor(s), best practices on designing and teaching SMU-X courses, and/or some reflections by their students who took the course. Click here to access past issues of SEED Digest. CTE offers one-to-one consultations to faculty colleagues concerning any teaching issues on SMU-X courses related to course design/redesign, assessments and instructional strategies. Note that teaching consultations are voluntary and confidential. We do not disclose any information from our consultations to other parties. Contact us at cte@smu.edu.sg to arrange for your teaching consultation.